From the first time someone thinks, “Hey, this is a great spot for a trail,” to its construction, almost all public, multipurpose trails go through these phases on their road to completion. Not all phases run congruent to each other and many times phases are happening at the same time. (2-5 years): Figuring out whether there are enough cash resources, partners, and public desire for a proposed stretch of trail. How much does it cost? Each mile of trail averages between $800,000-$1.2 million.  (3-6 months): Let’s take a serious look at this proposed section, and determine whether there will be any obstacles. Is there a wetland, or a creek? Which side of the road will have the greatest benefit, and least impact? What is the grade? 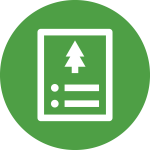 Are there resources like mature trees we’d like to work around? 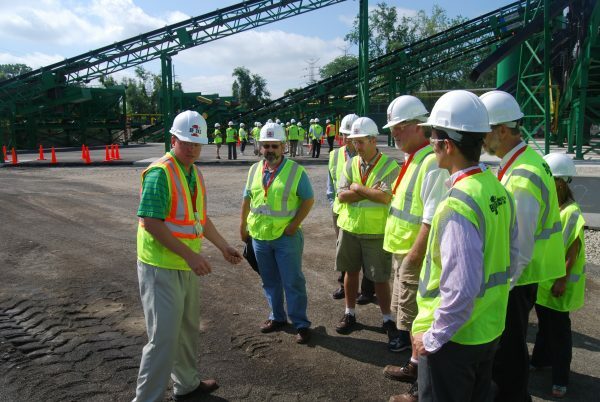 The partners in the project visit the site several times with engineering experts, to determine how best to create the new trail. 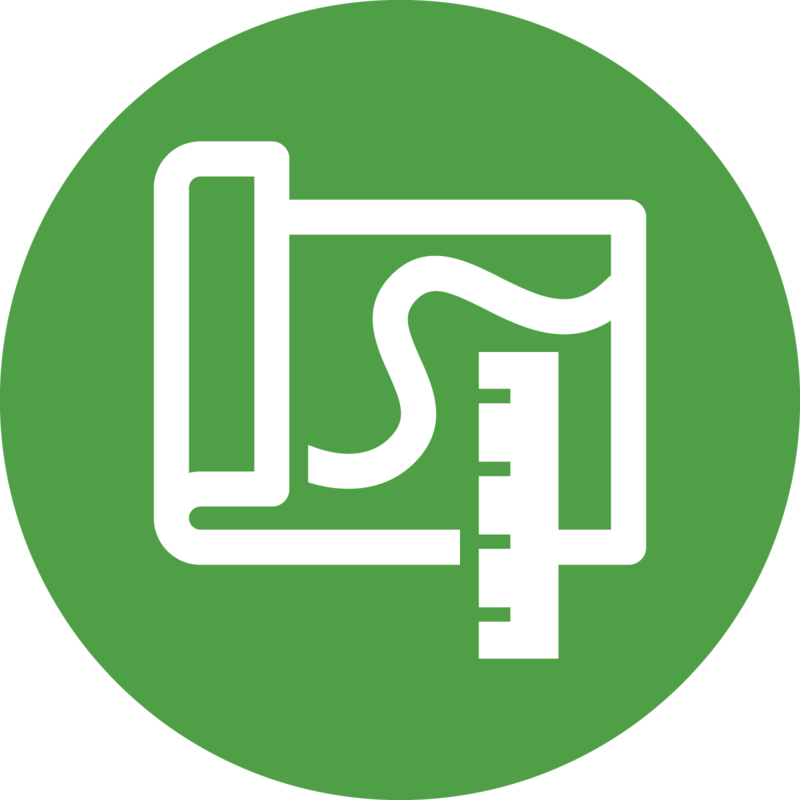 (6-12 months): Once the Pre-engineering decisions are made, experienced engineers will survey and create the construction plans or “blueprints” for the actual project, taking into consideration all of the questions addressed above. 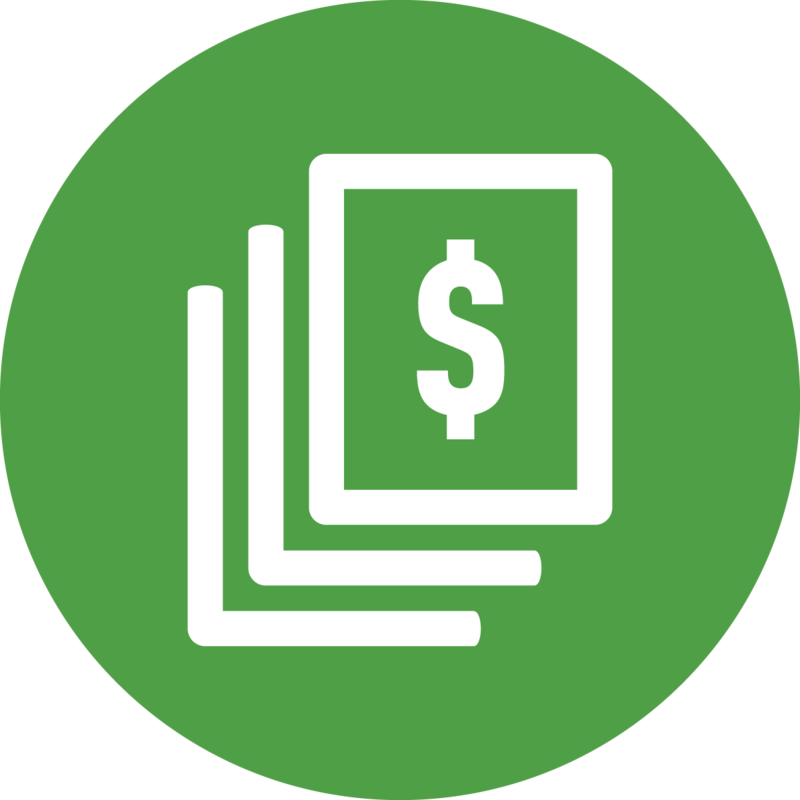 (3-6 months): Projects that are being completed by municipalities and/or using public resources from local, state, and federal sources must follow statutes regarding open bidding for these projects. (1-2 years): With a final plan and the funds in place, the partners can approach property owners to acquire the needed permission to proceed with the project. 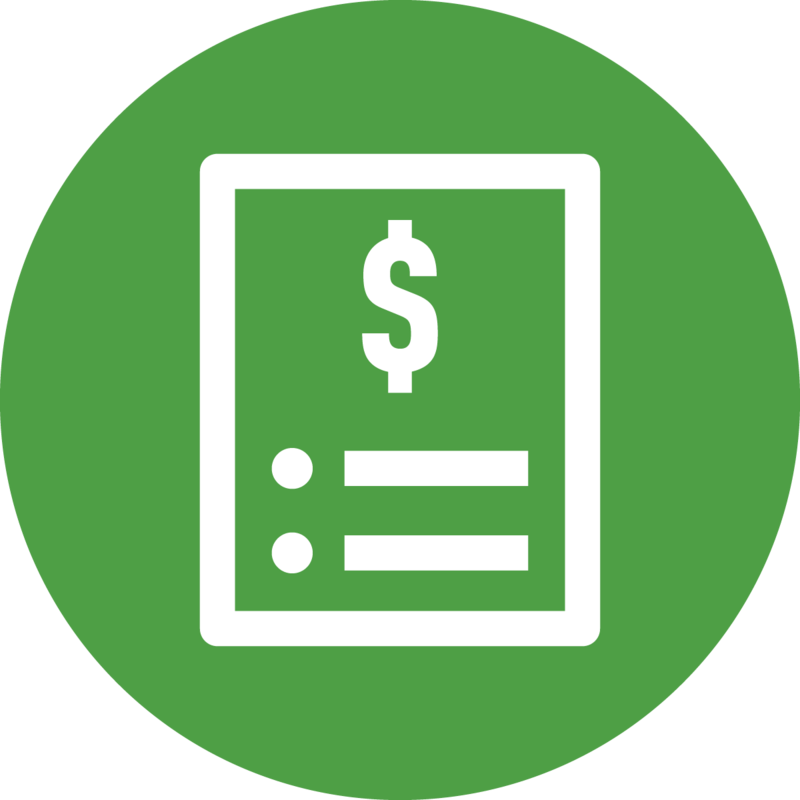 This includes the purchasing of right-of-way or donation by property owner, the granting of easements, and so forth. (6-9 months): The construction phase includes relocating utilities as needed and installing the trail. 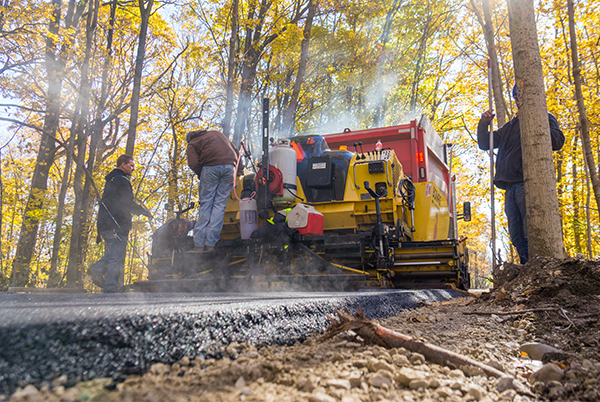 Building a trail requires the same preliminary work as building a road. 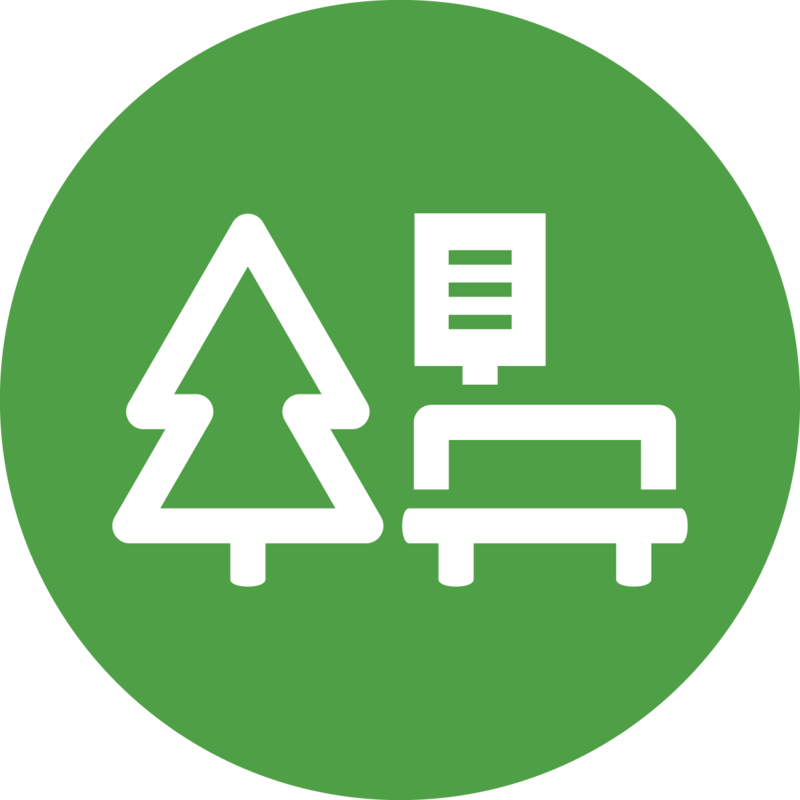 (3-6 months): Once the trail construction is completed, the entire project gets a face lift, with fresh grass seedings, landscaping and trees as called for in the specific project, benches, signage, etc. 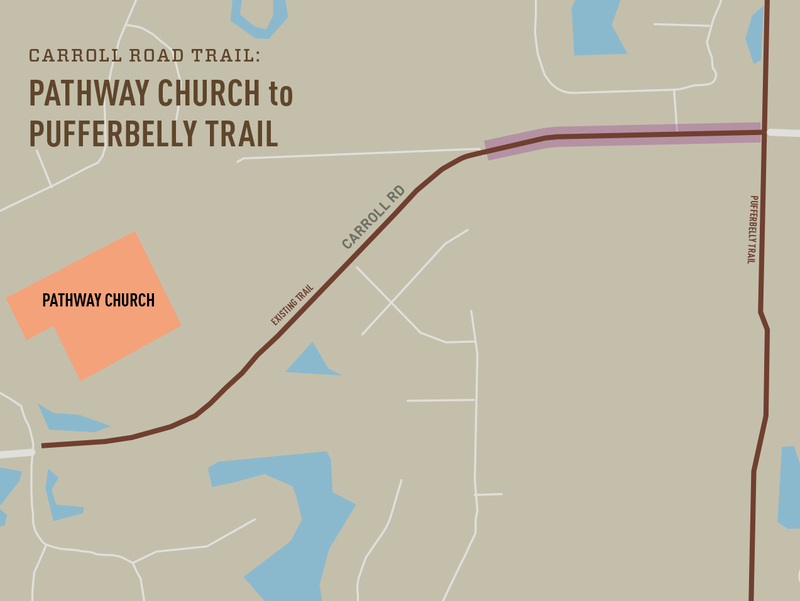 Fort Wayne Trails Activities: Allen County Highway Department with assistance from Fort Wayne Trails will construct a 10′ trail on the north side of Carroll Road from the new trail built by Pathway Church east to connect to the Pufferbelly Trail. Description: A 10′ wide trail on east side of Amstutz Rd. will extend from Trading Post Rd. to Hosler Rd. This connects to the Leo Schools’ campuses. This is a federally-funded project along with the widening of Amstutz Rd. 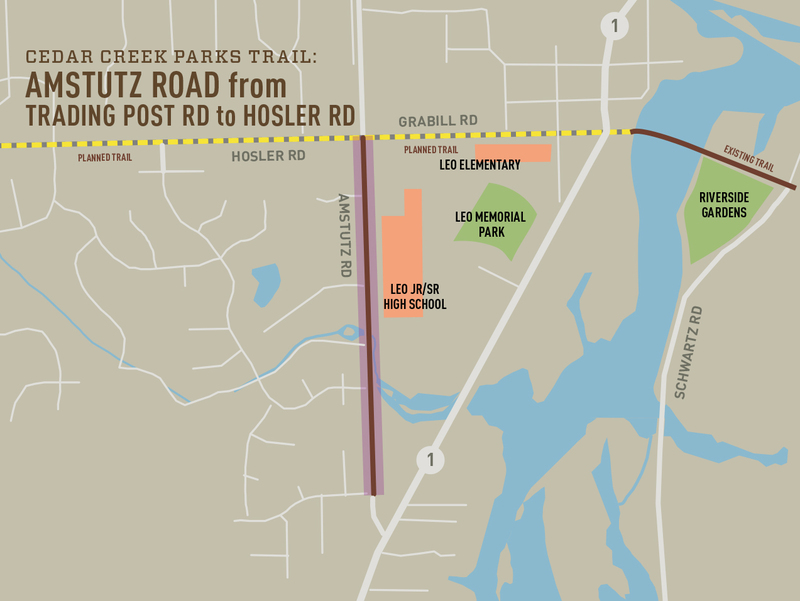 Description: A 10′ wide trail on south side of Hosler Rd, will cross to the north side at St Rd. 1 to Grabill Bridge. 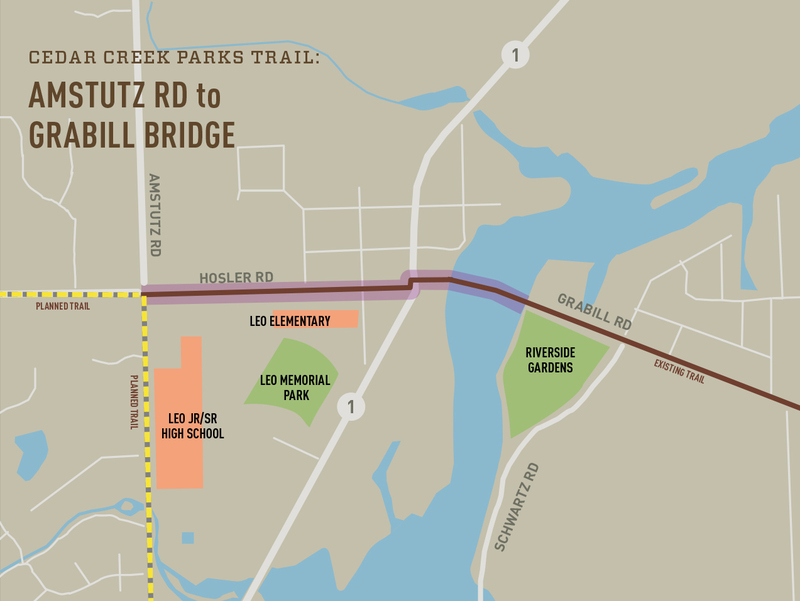 A separate bridge upgrade will include a cantilevered trail addition on the north side of Grabill Bridge. This is part of the NewAllen Alliance Stellar Portfolio from 2019-2023. 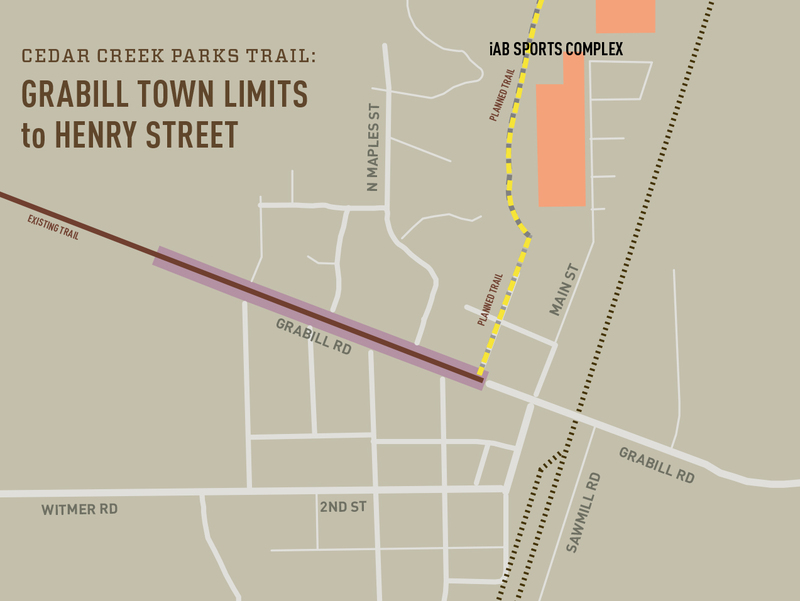 Cedar Creek Parks Trail –Grabill Town Limits to Henry St.
Fort Wayne Trails Activities: Fort Wayne Trails is partnering with Grabill and the NewAllen Alliance. A 10′ wide trail on north side of Grabill Rd. will be built from the western town limits to Henry St. This is a part of the NewAllen Alliance Stellar Portfolio from 2019-2023. Description: A 10′ trail will travel on the west side of Henry St. and cross the ditch into Grabill Park to the iAB Sports Complex. Project includes pedestrian bridge/culvert over Haifley Ditch. This is a part of the NewAllen Alliance Stellar Portfolio from 2019-2023. 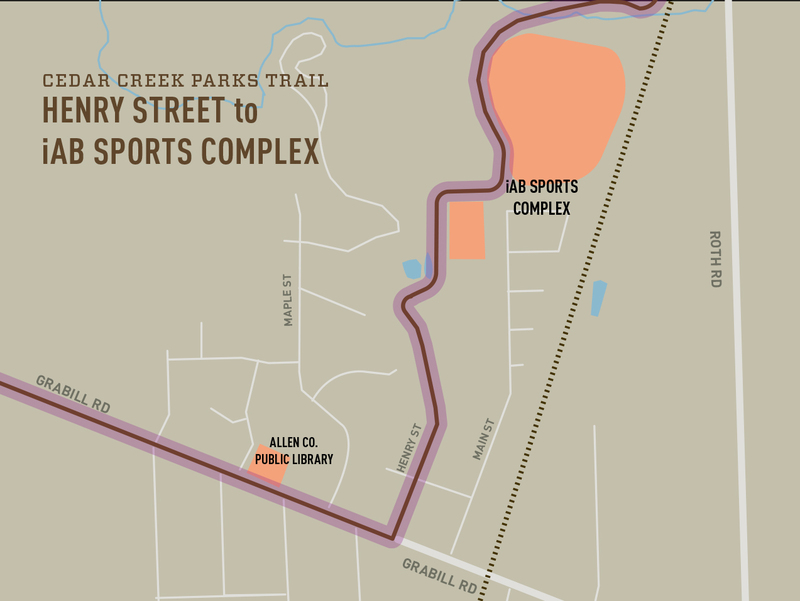 Description: A 10′ wide trail will extend from the iAB Sports Complex in Grabill to the north side of Haifley Ditch, along the railroad corridor to Springfield Center Rd. and continue on the west side of Roth Rd. to the entrance of Hurshtown Reservoir. This is a part of the NewAllen Alliance Stellar Portfolio from 2019-2023. 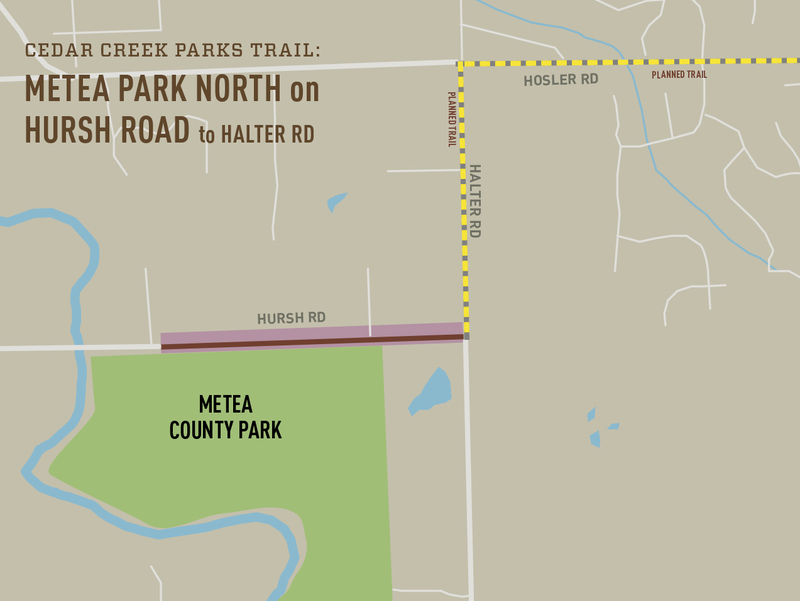 Description: Starting at the Metea Park North Trailhead on Hursh Road, this 10′ trail will continue on the south side from the trailhead to the AEP corridor, make a mid-block crossing and continue on the north side east to Halter Rd. where it will meet with portions of the trail being built by Leo-Cedarville. This is a complimentary project with the NewAllen Alliance Stellar Portfolio from 2019-2023. 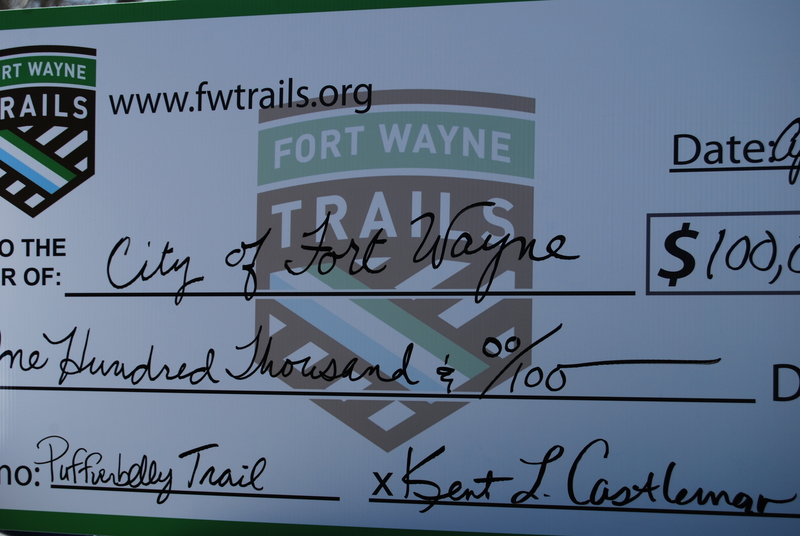 Fort Wayne Trails Activities: Fort Wayne Trails has donated $150,000 for Right-of-Way purchasing for this section of trail that will connect neighborhoods in Aboite Township west of Interstate 69, to destinations like Covington Plaza and Time Corners. This will be an 8′ or 10′ trail on the north side of the road, along with two crossings over the Durnell Drain and Flaugh Ditch. We will also be working with companies and individuals to create a trail hub rest area and gathering spot along the route. 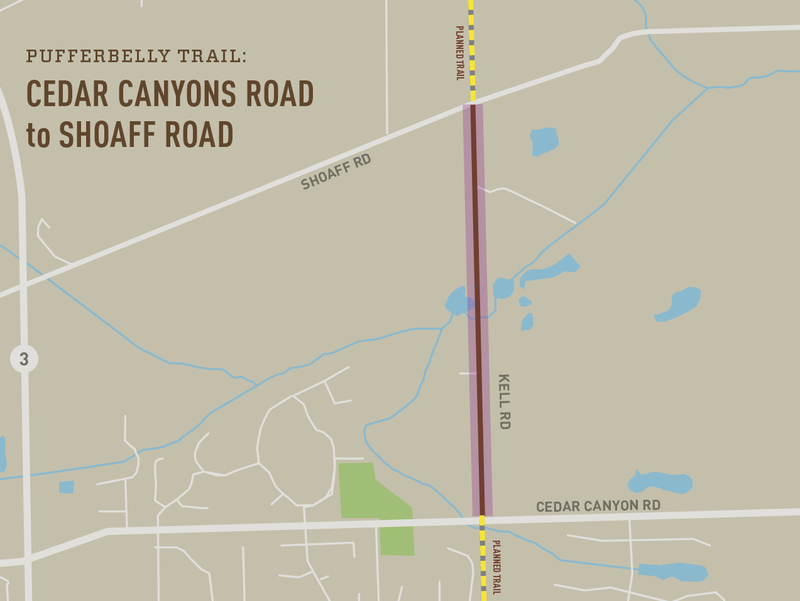 Fort Wayne Trails Activities: A 12′ trail will follow the old railroad bed on the east side of Kell Road from Cedar Canyons Road north and cross Willow Creek, using the existing railroad bridge, which will be refurbished. 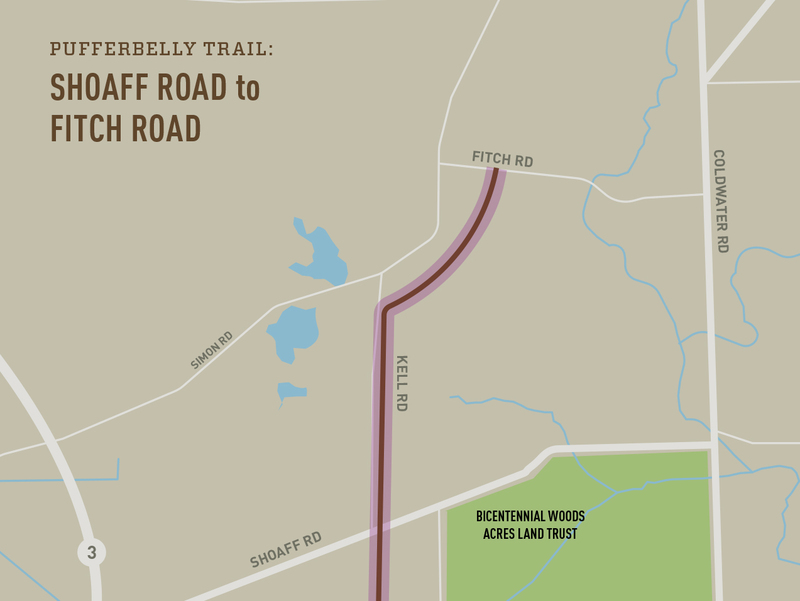 The Trail will then cross to the west side of Kell Road and continue north to Shoaff Road. 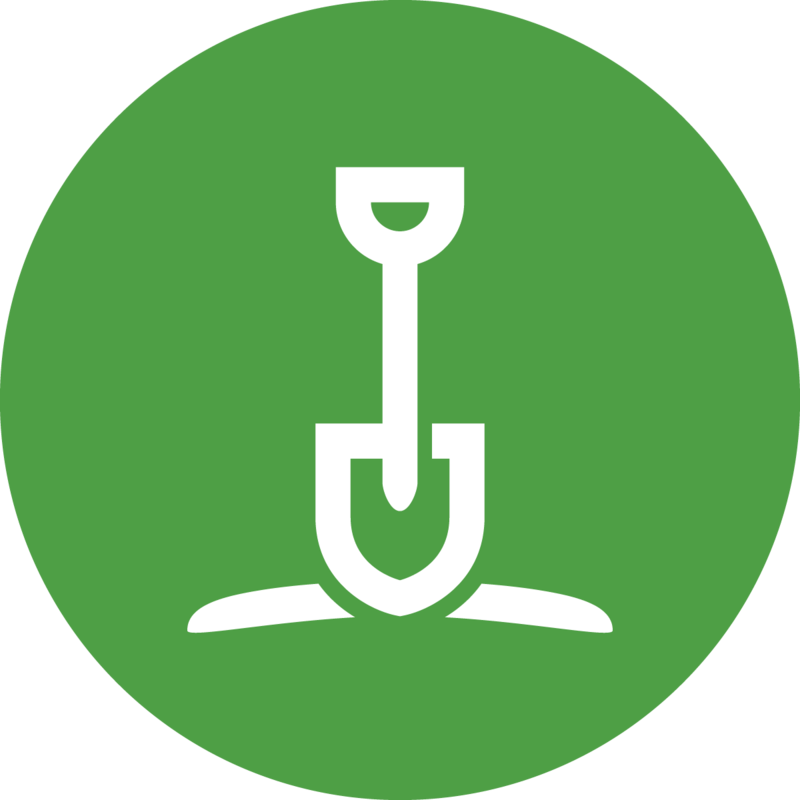 Fort Wayne Trails Activities: Fort Wayne Trails is acting as a partner and project coordinator for Allen County trail projects, and successfully advocated for county funding during 2018 to begin the acquisition of the needed land for the project. When completed, this will be a 12′ trail on the old railroad corridor. The trail will run through Twin Eagles neighborhood. Fort Wayne Trails Activities: Fort Wayne Trails is acting as a partner and project coordinator for Allen County trail projects, and has successfully advocated for county funding during 2018-2019. 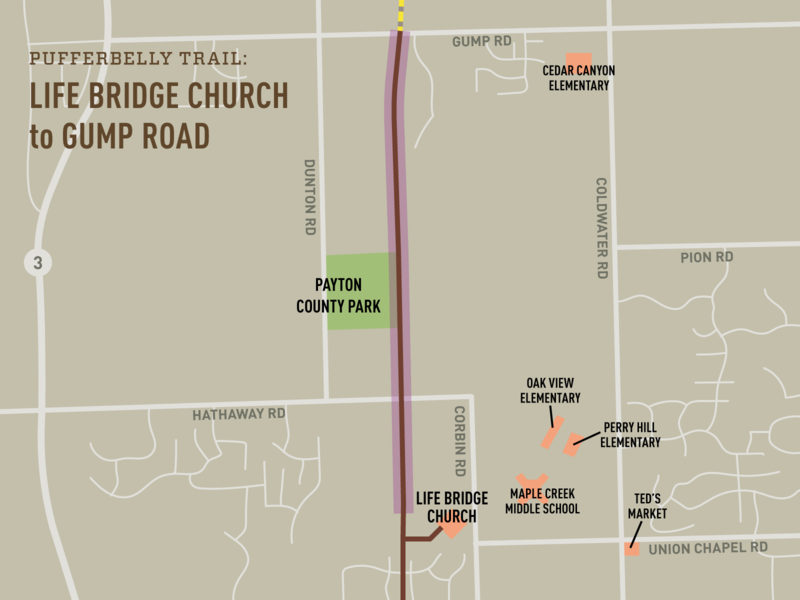 A 12′ wide trail on the old railroad corridor will connect Life Bridge Trailhead to Payton County Park. 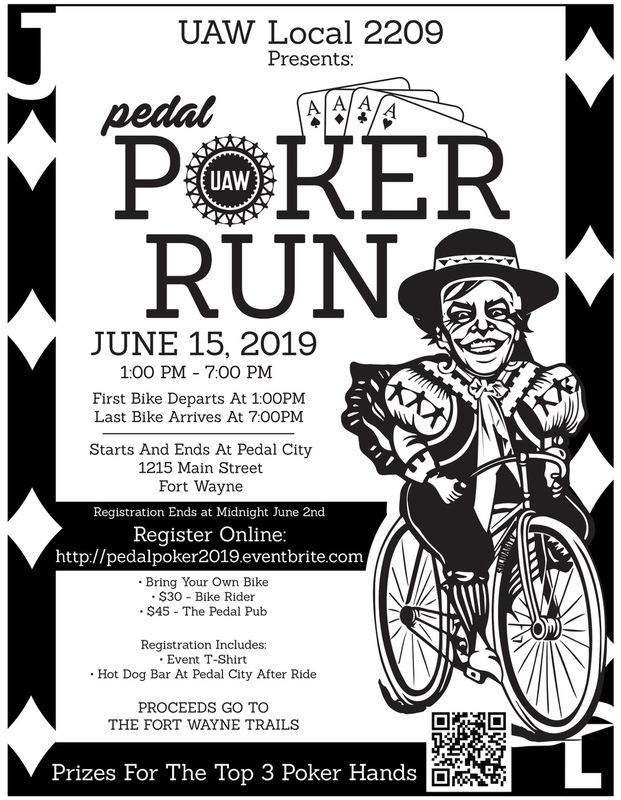 Fort Wayne Trails is also partnering with the Allen County Parks Department to build a trail spur to the parking area of Payton County Park, and a trail hub rest area and gathering spot along this section of trail. 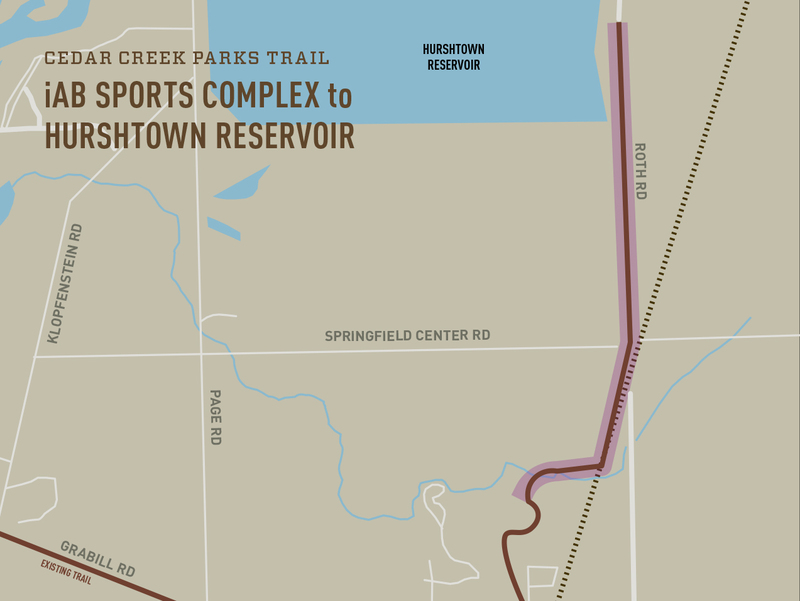 Allen County Parks recently received DNR funds to build the 8′ spur into the center of the park, and has hired contractors to complete the final design. 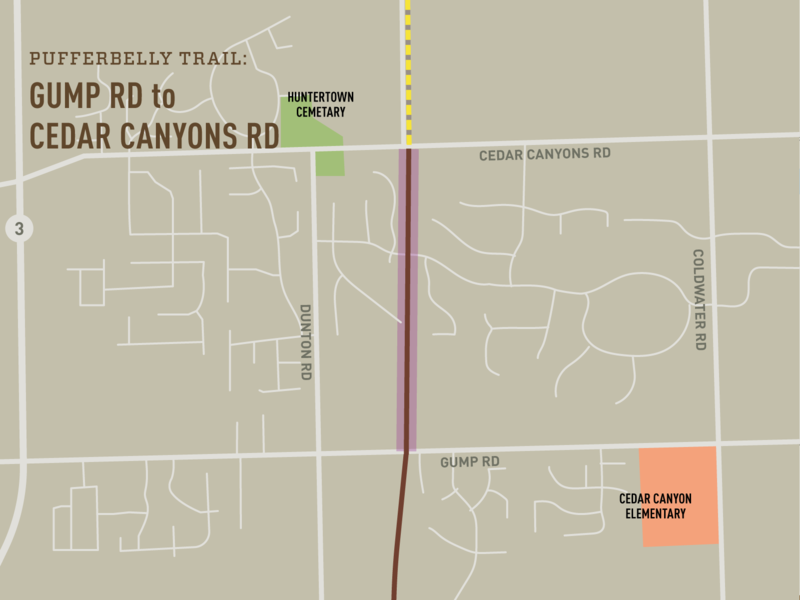 North of Payton County Park, the trail will be 12′ wide, and will be adjacent to the corridor near Whisper Rock neighborhood. When constructed (2019-2020), this section of trail will connect to the new Gump Trail, and connect to most Huntertown residents. Fort Wayne Trails Activities:Right-of-Way acquisition has been completed for this section of trail. 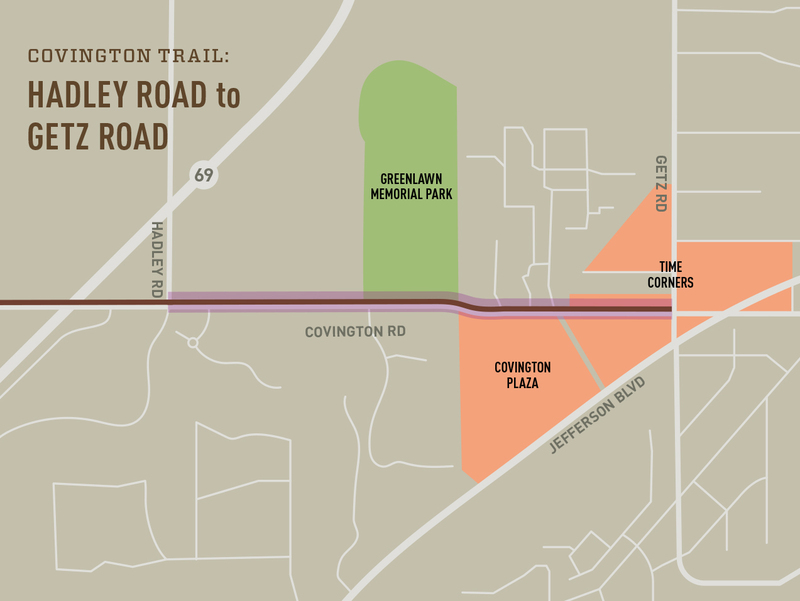 The Indiana Trails Fund purchased the right-of-way for a portion of the route several years ago and Allen County has recently worked to transfer the right-of-way so that trail development can occur. 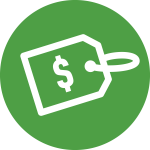 Fort Wayne Trails Activities: Fort Wayne Trails is acting as a partner and project coordinator for Allen County trail projects, and has successfully advocated for county funding during 2018 for engineering. Parkview has donated funding for this project as well. 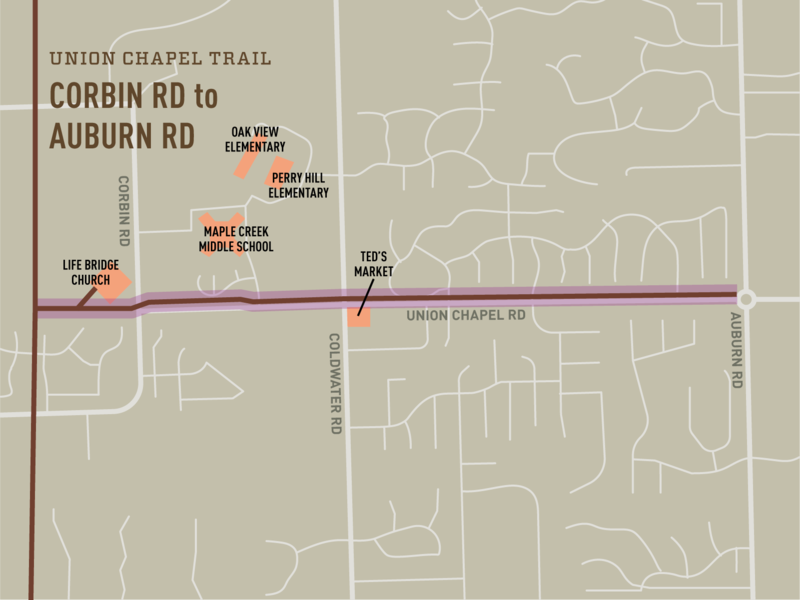 This will be a 10′ trail on the north side of Union Chapel Road, from the existing trail west of Auburn Road to the Life Bridge Church Trailhead and Pufferbelly Trail, just west of Corbin Road.